Should Minecraft have sideways slabs? home Home arrow_right Forums arrow_right Minecraft arrow_right Discussion arrow_right Should Minecraft have sideways slabs? Slabs. Half blocks. Why not a vertical variation? 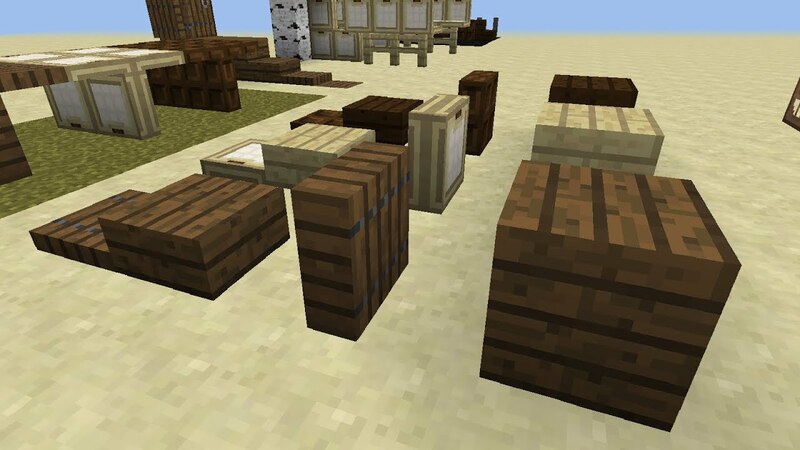 This has been suggested to Mojang, but they say they "Inhibit natural creativity". Why though? Wouldn't they make things MORE creative? Just think of all the things that can be done with sideways slabs. Maybe a cool looking bridge with sideways slabs as a guardrail. Who knows? Poll ended 04/01/2019 9:16 am. But still, not having vertical slabs hinders me in building sometimes because stairs are not always a good enough solution. So, I would greatly appreciate it if I had access to vertical slabs because I think they would offer many new build possibilities not available at the moment. I use mods that add these in and they are incredibly useful. My current project uses them to make functional machicolations on a city wall (holes in the top edges of the wall, big enough to shoot arrows through but too narrow to fall through). They can also be good if you want a building to use different materials on the inside and outside (like if you want colored walls inside your house but don't want it to be two full blocks thick). They could take the place of decorative trapdoors in some structures. I think it would encourage players to come up with creative uses for it, just like the existing horizontal slabs do. That would improve building so much! I hope Minecraft adds it! Modded Network Startup! Staff needed. Just starting to develop.